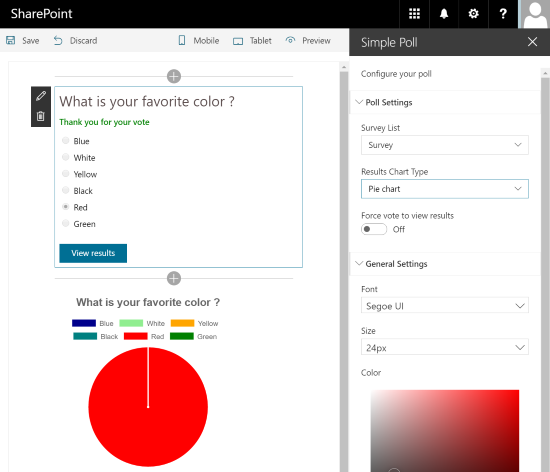 The Simple Poll Web Part is a SharePoint client side web part built with the SharePoint Framework (SPFx). This web part generates a simple poll (one question) based on a SharePoint survey list. This Web Part is perfect for simple surveys to insert on a homepage for example. Users can vote in 1 click and see the results in the form of a pie or bar chart. Click here to access to the Installation Process. You can install and test this web part without compiling the code by following this procedure.